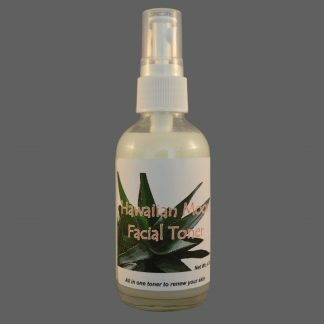 Hawaiian Moon Facial Toner - Balance your skin, shrink and tighten pores! Toners are often misunderstood and most people don’t know if they should use it or even how to use it. 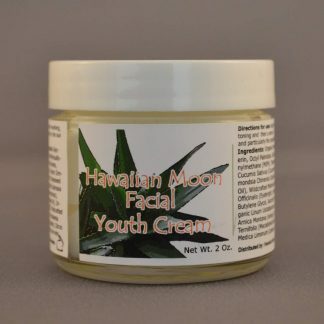 Toners should be used before applying any moisturizers, but after using a facial cleanser like our Hawaiian Moon Facial Cleanser. Why? Our toner helps remove traces of oil and makeup, excess dirt, it can help balance your skin’s PH, it shrinks and tighten your pores, and it even helps to reduce acne! Our toner formulation includes Vitamin C, which is known to renew the skin and fight free radicals. Our toner also has over a dozen unique botanical actives. Nano-structured water suspends ingredients in our highly bio-available solution while MSM drives active ingredients deep into the skin. Geranium oil brings centuries of skin restoring properties to this formulation, while bee propolis preserves the integrity of the skin. The result? Skin is nourished, balanced, toned, and absorption of serums and cremes is enhanced with use of this product. 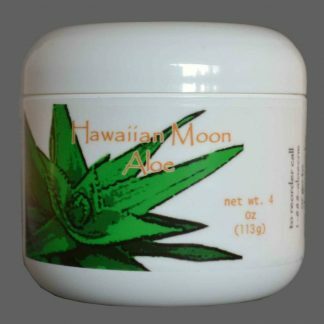 This is a 4oz container of Hawaiian Moon Facial Toner. 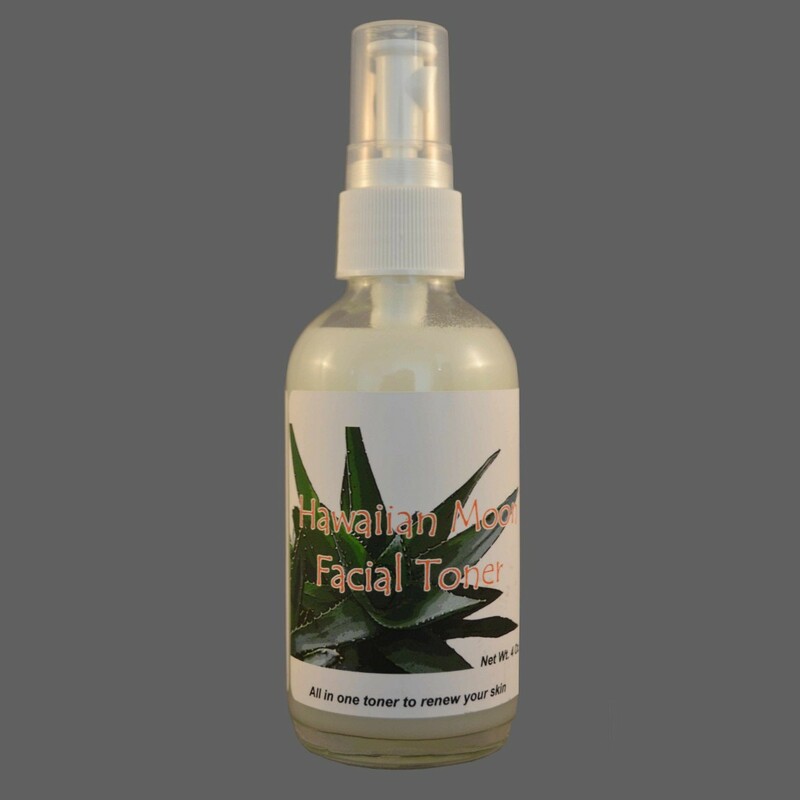 After using our Hawaiian Moon Facial Cleanser (or cleanser of your choice) to cleanse your face, spray our toner onto a round cotton pad and gently apply throughout your face and neck area. Alternatively, you can spritz it on directly and then patting it with a round cotton pad. Feel free to use several times throughout the day to refresh your skin. 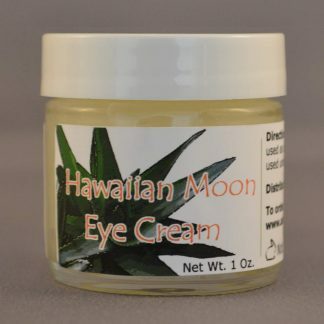 I use 3 of the Hawaiian Moon facial products: this Facial Toner, the Eye Cream, and the Youth Cream. After washing my face I use the toner. The skin on my face feels super clean and seems to absorb the eye and youth creams even better. I’ve been using this combination for about 14 months and I’ve noticed that my face is MUCH clearer, there are 90% less blackheads (eek), and my 42 year old face has more of a youthful look :). I’m on my 3rd set of the 3 products in the 14 months so I end up spending about $100 every 6 months (about $16 a month) for great looking skin. Totally worth it, in my opinion!